“God: Triune in Essence and Actuality”, Encounter, Vol. 59 [Winter/Spring, 1998], Nos. 1-2, pp. 274-291. It is a remarkable consensus in late twentieth century theology that the doctrine of the trinity is regarded as important for a correct understanding of the Christian doctrine of God. Not since the fourth century havc wc secn such a prolonged and vigorous discussion of trinitarian doctrine. Yet in the midst of this remarkable consensus there is still ample room for significant disagreements over several issues of trinitarian formulation. It is the fundamental thesis of this essay that the failure of contemporary trinitarian discussion to attend to a clear distinction between God’s triune essence and God’s triune actuality seriously hampers the development of the full conceptual potentialities of trinitarian doctrine. I will argue in this essay that this distinction facilitates a trinitarian doctrine that is radically incarnational and relational and that steers through the perilous waters of classical theism on the one hand and process theism on the other. To make the argument concerning the importance and usefulness of the distinction between God’s triune essence and God’s triune actuality, I will first discuss the importance of the concept of the Economic Trinity, and then I will turn to a discussion of God’s freedom and love. It is this later discussion that will be a launching pad for the development of the distinction between God’s essence and God’s actuality. Every theological effort intends to develop an answer to the questions: ‘who is God?’ or ‘how is God to be identified?’ or ‘how is the term “God” to be used in Christian discourse?’ At stake here is what I call the ‘identifying references’ or ‘semantic rules’ for saying who God is. Every use of the term ‘God’ is employing some such identifying references or semantic rules. In so-called classical theism the basic rules are that God is one, simple, infinite, eternal, immutable, and impassible and the first cause of all things. These identifying references sometimes seem even more basic than the biblical testimony and come to provide the foundational rules for the development of the doctrine of the trinity. These rules presuppose that God’s essence and existence are identical. The consequences for trinitarian doctrine are devastating: how can we talk of a triune God who becomes incarnate in a particular human being while at that same time maintaining that God is simple, immutable, and impassible in both essence and existence? If trinitarian considerations are to be central in identifying who God is, then we cannot begin with these rules of the natural theology of classical theism nor, I will argue, with the rules of the natural theology of process theism. Rather, we will begin with those considerations included in the concept of the economic trinity. Relying on the authoritative priority of the biblical testimony, the term ‘economic trinity’ refers to God’s acts of self-communicating disclosure in the history of Israel and of Jesus Christ and the calling of the church. It is the oikonomia of God’s disclosive management of salvation history in creation history. Hence, when we talk of the epistemic priority of the economic trinity, we are referring to these self-disclosures of God in which God identifies Godself for Israel and the church and thereby for the world. We learn, therefore, who God is by looking at what God does in these self-communicating actions. 1. God is the One who elected, liberated, and covenantcd with Israel and thereby is the One who is the sovereign Creator of all things. 2. God is the One who is singularly incarnate in and thereby definitively self-revealed in the life, death, and resurrection of Jesus of Nazareth. 3. God is the One who empowers the church into being and moves within creaturely life to give life, new life, and to draw all creatures into a redemptive future. These fundamental self-identifications of God are the trinitarian trajectories requiring some explanation of the differences and otherness in God as well as the oneness of God. The doctrine of the trinity is the attempt to provide coherent rules for talking about the God who self-identifies, who self-communicates, who self-reveals in these three differentiated ways of being God. It should be relatively clear that it is the doctrine of the incarnation, as thc assertion of the divinity of Jesus Christ, which propels the doctrine of trinity into sharper formulation. While the God of Israel—as represented in the Old Testament—can be interpreted in ways that suggest some differentiation within God’s life, it is the identification of God with Jesus of Nazareth that posits a hitherto troublesome sense of otherness and differentiation within the divine life. Drop the singular identity of Jesus with the God of Israel and there is no need for the doctrine of the trinity. But with that identification, it becomes impossible to identify adequately who God is apart from some triune way of understanding that includes Jesus and the Spirit and grasps the otherness within God’s actuality. The more radical the insistence on the singular identification of God with the human Jesus, as the becoming human of God, the more radical is the doctrine of the trinity and the less it can be co-opted by some metaphysical theory of the dialectical unity of the world spirit or some theory of the ultimate reality of community or togetherness or abstract relationality. Trinity is fundamentally about saying that the God of Israel has become incarnate in the creaturely otherness of a Jew—named ‘Jesus’ and located in first century Palestine—for the salvation of the world through the Spirit. When we say ‘economic trinity’ we are reminding ourselves of this specific narrative history of God’s self-identifications. In all three of these self-idcntifications, the themes of God’s freedom and love are central. The One who elects and liberates Israel is the One who self-names as YHWH: “I will be who I will be” [Ex 3.13-15]. YHWH is the One who is free and self-determining. And the election of Israel is altogether a free and loving act. Likewise in Jesus Christ, God comes freely and lovingly to the rescue of a humanity that has repeatedly broken covenant with God, and in the Spirit God freely and lovingly moves persons to newness of life in response to the cross and resurrection of Jesus Christ. Throughout these disclosive acts, God is the One who loves in freedom. The characteristic New Testament name of this loving freedom is ‘grace’ [see Acts 15.11; Rom 3.21; 5.15-21; 6.15; 11.6; 2 Cor 8.1,9; Eph 3.7]. Grace is a free gift of God that is undeserved and has beneficial, salvific effects for persons. It would not be a free gift if it were a necessity of God’s nature. It would not be undeserved if it were given as a reward for merit or justified cause. Hence, we misconstrue God’s grace if we think of it only in terms of undeserved beneficial effects. They must be freely given. In our trinitarian discourse about God we cannot prioritize or separate God’s love and God’s freedom. Keeping these two essential attributes of God together is decisive for the explication of the biblical witness to God as a triune personal agent who is freely and lovingly gracious to the creature. But it has been a profound temptation of the church to separate and explicate God’s freedom and love independent of each other. When this separation occurs in the church’s discourse, we have, on the one hand, a freedom that makes it appear that God is free not to love. This is the tendency of emphasizing that God is primarily potentia absoluta, absolute and unconditioned power. On the other hand, we have a love that makes it appear compelled or necessitated by God’s essence or nature, as though God’s loving is not a personal, free decision, relationship, and gift of God. Therefore, in the church’s discourse we must keep the concepts of God’s freedom and love dialectically distinct and interrelated in such wise that they are never interpreted in independence of each other or in such a way that one is prioritized over the other. Freedom and love are the two attributes that will shape our understanding of the other traits of God’s life and actuality. There are two significant meanings in the understanding of God’s freedom: 1) God can will and decide among alternatives; and 2) God is self-determining will and power. But God is neither except as the One who loves. Here love dialectically qualifies the first meaning of freedom: God is not free not to love. But God is free in what and how God loves relative to the creature and creation. As self-determining, God is free to self-determine Godself to-be-determined by-another. God can determine Godself to be affected by and limited by another, and such self-determination to be so affected is a self-determination of God’s love. But such determination by another is never the determination of some metaphysical necessity. Rather, God’s being determined or conditioned by another and thus being affected by another is always God’s free decision to be so determined, conditioned, and affected. Thus we do not characterize God’s freedom as an impassible self-sufficiency or aseity that exists without being affected by any other actuality. The New Testament is replete with references to God’s love [see Jn 3.16; 16.27; Rom 5.5,8; 8.35,39; 2 Cor 13.11,13; Gal 2.20; Eph 1.5; 2.4; 5.2; 2 Tim 2.16; 1 In 3.16; 4.7-16; Rev 1.5]. In trinitarian terms we can distinguish between two different types of objects God can love: 1) God’s own internal loving among the persons of the trinity; 2) the creature. It is God’s triune nature to be loving among the Father, the Son, and the Holy Spirit. But God’s loving the creature is a free self-determined act of openness to the being of the creature, to bringing the creature to be and to letting the creature be. God freely and lovingly comes to the rescue of the creature that is otherwise mired in sin and its destructive consequences. 5. God has an interactive history with the creation, Israel, and the church. Given these trinitarian themes and activities, it seems appropriately implied that God becomesin God’s life with the world, that God is affected by the world and its becoming, that God has an interactive life in and with the world. It is impossible for classical theism, given its basic semantic rules, to say these utterances intelligibly. As the Creator who is in actuality impassible and immutable, the God of classical theism metaphysically cannot be affected by the world and cannot become in any manner and cannot have an interactive history with the world. And it would seem utterly unintelligible what it might mean to say God becomes incarnate in a finite, changeable, human life. Process theism seems quite able—on the surface—to affirm that God has an interactive history with the world and lovingly becomes in relation to the world. But it has difficulty saying that God is triune, that God freely creates the world, that God becomes singularly incarnate in a human being. Rather, it seems by metaphysical necessity of God’s love—as the capacity to be universally affected by all other actual entities—that God must have some world to love. Hence, some creature is necessary for God to be God. God could not be God without some world. Accordingly, we need a grammar of the trinity that will steer us between these two alternatives and gives us intelligible ways of talking about God as the triune One who loves in freedom. I am proposing that we revise the traditional grammar of God’s essence and existence or actuality [1 am using the terms ‘existence’ and actuality’ interchangeably herein]. This revision is adumbrated in the Cappadocians and Barth and is suggested in nontrinitarian ways in the process theology of Charles Hartshorne. I am proposing a new way of understanding God’s trinitarian essence and God’s trinitarian actuality. What sort of talk is this talk about ‘essence’? Philosophically it goes back to Socrates, Plato, and Aristotle, but it is deeply rooted in ordinary discourse about many things. Typically, we are stating the essence of something when we answer the following questions: ‘what sort of thing is this?’ and’ What is it that makes it to be the sort of thing it is?’ So we might ask ‘what sort of thing are Priscilla, Fred, and George?’ and the answer might be: ‘They are human beings.’ Being human is the sort of thing they are; it is the essence or nature they have in common. But Priscilla, Fred, and George are more than just this human essence; they are concrete particular human beings. Being the particular human beings they are, they are also different from one another. Further, as a particular human being, each is subject to conditions of change and finitude. But to remind us of what each has in common, we can say that each is an instanceof the human essence. Following this line of thought we can understand what is meant when we say that the essence of humanity is a logical subject but not an ontological subject. That is, as a logical subject, the essential traits of humanity [whatever they are!] can be spelled out and predicated of the essence. For example, we might say that being a personal and spiritual creature is an essential trait of human being. We can now predicate the human essence, as a logical subject, of Priscilla, Fred, and George. But George, Fred, and Priscilla as particular human beings cannot be predicated of any thing else; they are ontological subjects. So, in this limited context it makes sense to say that Priscilla can do something, can act and become in time, but it makes no sense to say the human essence acts and becomes in time. But we have a problem stemming from Plato: he thought the essence of something was what was most real about that something. And since the essence of something is an unchanging form or structure, he believed that it was more real to be unchanging than to be a changing, transient, finite particular something. Hence, the semantic/ontic principle: the unchangeable is more real than the changeable, and thus when we ask about the essence of something, we are asking about what is most real about that something. Sadly for Christian intelligibility and self-understanding, the principle that the unchangeable is more real than the changeable gets adopted in the post-apostolic church as a fundamental theological rule. In the developed tradition the further rule is advanced that God’s essence and existence are identical. Hence, we see how easy it was to say that immutability and impassibility are traits of the essence of God. This is saying more than that God’s essence is unchanging; it is saying that it is one of the unchanging, essential traits of God that God is immutable and impassible. And whatever is an essential trait of God’s essence is identically a trait of God’s existence or actuality. We can subvert and dismantle this grammar of essence and actuality, if we make a distinction between God’s essence and God’s actuality and if we posit that God’s actuality is the more fundamental reality. It is the actuality of God that is the fundamental ontological subject, and the essence of God is simply the necessary structure that is always present in God’s actuality. God’s essence is itself a logical subject, but it is not an ontological subject. Only the actuality of God is the ontological subject. It is this subject that we have trinitarianly identified in the economic self-communications of God. In the actuality of these self-communications we have a basis for identifying God and talking about God’s actuality. In actuality God is Father, Son, and Holy Spirit in dynamic, free and loving interaction with the world. While the essence of God is itself unchanging, the actuality of God can change, become, be affected by the world, become incarnate in the world, die a human death in the world, and actually consummate all things in redemptive fullness. The essence of God is thus a predicate of God’s actuality and is not more real than God’s actuality. In short, the essence of God does not do anything; it cannot act; only the God the actual triune subject acts. We can now clearly affirm that God’s essence, as structure, is unchanging or immutable, without also saying that immutability is one of the traits included in God’s essence. An essential attribute or trait of God is a trait without which God could not be God. So, God’s essence is that structure of attributes without which God could not be God. It is God’s actuality that has the essence, but God has other attributes as actual that are not included in God’s essence. We are now in a position to see the intelligibility of saying that God has some traits or attributes essentially or necessarily and some contingently. We hereby avoid saying that every attribute of God’s actuality is an essential attribute, without which God could not be God. Rather, God can actually have some attributes in self-determined contingency, which does not mean that they are any less real than the essential attributes. The attributes of self-determined contingency are those attributes of God that presuppose the world and God’s relationship with the world. Here we would at least be talking about God as I) perfect, 2) omnipresent, 3) holy and righteous, 4) patient, merciful, and gracious, 5) constant or faithful. All of these are relational attributes of God. And, of course, all the essential attributes would apply as well to God’s relationships with the world, but as such an essential attribute does not presuppose the world. How then do we arrive at the essential attributes of God that comprise God’s essence? We infer them from the triune actions of God’s economic interaction with the world. As we have seen, the attributes of freedom and love are central to God’s economic actions, without which they would not be the distinctive actions of God. Further, precisely as economic actions, the triune self-identifications of God presuppose the givenness of the world as the world created by God. In order to preserve the graciousness of God’s triune actions, we need to see God’s interactions with THC world as the contingent actions of God’s freely self-determined love for the world. Hence, it is not of the essence of God that God be Creator of the world, the incarnate Reconciler of the world, and the Redeemer of the world. But, of course, these actions and their traits are constitutive of God’s self-determining actuality. What, then, might we say are the essential attributes of God? I would suggest the following: God as 1) loving, 2) free, 3) almighty, 4) wise, 5) eternal, 6) living, 7) triune, 8) necessarily actual. These are the traits without which God could not be God; God does not decide to have these attributes. These attributes are the necessary structure of God’s living actuality. While these attributes are necessary to God, how God has the attributes in actuality is subject to God’s own disposing and enactment. For example, God is necessarily and immutably loving, but how and what God loves is subject to God’s self-determined disposing and enactment. This essay is not the place to elaborate and explain these attributes, but let us consider the attribute of triunity. I am arguing that God is in essence triune; that is, God has the attribute of being triune as essential to God’s actuality and without which God would not have any actuality. This excludes saying that God first becomes triune in creating, reconciling, and redeeming the world. It also excludes saying what the Cappadocians said: that God’s essence has three instances or persons. Rather, precisely in God’s triune actuality, there are not three instances of triunity but only one. Since we know no God except the One who is triune, we cannot speculate about an essence that is other than triune itself. Being triune, being Father, Son, and Holy Spirit, is not something God decides. But how God is these three modes of actuality is subject to God’s loving self-determination and self-differentiation. Hence, we can say intelligibly that God, as triune actuality, creates the world, reconciles the world, and will redeem the world. We are now in a position to affirm that God could be God even without the world, which puts us in direct conflict with process theologians. God actually is the One who freely and lovingly creates and governs the world, but these are contingent actions of God’s actuality. While admitting the paradox in saying that God is actual even before creating the world, we are entitled to assert that God is Primordially Triune even before the world. God is in loving actuality the One who loves within Godself as Father, Son, and Holy Spirit. And there is nothing about this loving triune actuality that requires or necessitates the creation of the world. That God does actually create the world can only be characterized as a free and loving action in which God self-determines Godself to become the Creator of the world. But given that God has created the world, God’s actuality is affected by this creating and by the creation itself; God’s actuality is self-determinately limited by the creation in the primary sense that God does not choose to have God’s life without the creation. Thus we can see the intelligibility of being able to say the triune God in living actuality is affected by the world, suffers with the world, and is powerful enough in actuality to suffer a human death on the cross of Jesus without ceasing to be God. Central to this intelligibility is the concept that God’s actuality is inclusive of God’s essence and is the fuller and richer reality of God. The triune God who is actual can become, have movement and life, and interact with the world. To put it vividly, God, in God’s primordial triune actuality before the world, has the power to become the economic triune actuality in relation to the world. This, of course, means that we will have to talk about a sequentiality in God’s life, and therefore God’s eternality cannot mean simple timelessness as the negation of time. Without the distinction between God’s essence and God’s actuality we could not render intelligibly how God was actual and could have been actual without the creation but is now actual with the creation. 4. The deepest reality of God. We must first affirm that the economic trinity has epistemic priority here, and everything we say about the immanent trinity is derived from what we know of the economic trinity. That is, we have no independent access to a triune being apart from the economic self-revelations of God. The concept of the immanent trinity affirms that God is not just triune in salvific self-communications in creation history but is triune in Godself Here the concept is used to defeat modalism, which can be interpreted as saying the economic trinity is but the transient appearances of a primordial One who is not triune in itself. Modalism believes that God is primarily a simple monad who is unrelated to the world and for whom the distinctions of Father, Son, and Holy Spirit are unreal or merely temporal distinctions. Hence, in saying that God is immanently triune, we are negating modalism and affirming that the distinctions among the Father, the Son, and the Holy Spirit are real distinctions and involve real otherness within God’s actual life. Modalism also challenges an abiding belief of trinitarian theology: that the revelations of God in creation history are self-revelations and that therefore we can trust the revelations as truthful disclosures of the very actuality of God. Sound trinitarian theology forbids us to believe that there is some more real God hidden behind the revelations who might be quite different than the revelations have led us to believe. The concept of the immanent trinity has also been used to preserve the freedom of God in creating the world and becoming incarnate in the world. It is used to affirm that God in se—God in God’s immanent and eternal self-relations—is self-sufficient in love among the persons of the trinity and that God does not need the world in order to be loving. Therefore, it is not a necessity of God’s loving nature that God have a world of otherness to love. If something other than God comes to be, it comes to be only because God has freely and lovingly willed it to be. Thus far we agree with this important point, for without the concept of the immanent trinity we might be led to see the economic acts of God as the necessary unfolding of God’s essence, perhaps in the fashion of Hegel. But the peril to the doctrine of the trinity comes when tradition combined the concept of the immanent trinity with the concepts of immutability and impassibility and therewith concluded that the immanent trinity—God in Godself—is unmoved and unaffected by the economic activity of God. Our understanding of God’s essence and actuality subverts and prevents any such misconstrual of God’s immanent life. Further, our distinction helps us clearly affirm that in God’s actual life with the world there are continuing internal relations—God in se—among the Father, Son, and Holy Spirit. And we can say that these internal relations are affected by the interaction of the persons of the trinity with the world: for example, the Son’s going to the cross of death affects the internal life of the Father and the Spirit and is the atoning movement of God’s own life. 5) God in economic actuality with the world is triune. To recapitulate the argument for the usefulness of the distinction between God’s essence and God’s actuality, I have argued that the distinction will make it more intelligible how God can have a triune interactive life with the world, without thereby asserting that the world is necessary to God and without falling into the trap of classical theism with its emphasis on the immutability and impassibility of God. Without my distinction, we will have the continuing confusion about how to speak of God’s having a real relationship with the world, of God’s suffering with the world, of God’s becoming incarnate in the world. With my distinction, we are empowered to talk about God’s free and loving actuality that is free to become the Creator, Reconciler, and Redeemer of the world. Indeed, my distinction allows new intelligibility to shine through some of the prime utterances of the faith that have hitherto been difficult to interpret. Much of thc twentieth century discussion has been stimulated by Karl Barth and Karl Rahner. See Karl Barth, Church Dogmatics, I/1, trans. G. W. Bromiley (Edinburgh: T. & T. Clark, 1975) pp. 295-489 and CD, II/1; IV/I; IV/2: Karl Rahner. The Trinity, trans. Joseph Donceel (New York: Seabury Press. 1974). Other heavy hitters are Jürgen Moltmann, The Trinity and the Kingdom, trans. Margaret Kohl (San Francisco: Harper & Row. 1981); Robert W. Jenson, The Triune Identity (Philadelphia: Fortress Press. 1982); Eberhard Jüngel, God as the Mystery of the World, trans. 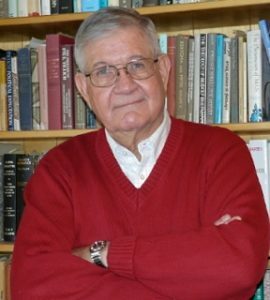 Darrell L. Gruder (Grand Rapids, Mich.: William B. Eerdmans. 1983); Wolfhart Pannenberg. Systematic Theology, Vol. 1, trans. Geoffrey W. Bromiley (Grand Rapids, Mich.: William B. Eerdmans, 1991); Catherine Mowry LaCugna, God For Us: The Trinity and the Christian Life (San Francisco: HarperSanFrancisco. 1991); Thomas F. Torrance. The Christian Doctrine of God, One Being Three Persons (Edinburgh: T. & T. Clark. 1996). Good introductions to contemporary discussions are: Ted Peters, God as Trinity: Relationality and Temporality in Divine Life (Louisville, Kentucky: Westminster/John Knox, 1993), and John Thompson, Modern Trinitarian Perspectives (New York and Oxford: Oxford University Press, 1994). For a discussion of ‘identifying references’ in ordinary language, see Peter F. Strawson, Logico-Linguistic Papers (London: Metheun & Co, 1971). Robert W. Jenson also uses the terms ‘identifying references’ in developing his doctrine of the trinity. I have been helped by his discussion, but I phrase the identifying references for God rather differently than his. See Robert W. Jenson, The Triune Identity, 1982 and “The Triune God” in Christian Dogmatics, Vol. I, ed. by Carl E. Braaten and Robert W. Jenson, (Philadelphia: Fortress Press, 1984) and Systematic Theology, Vol. 1: The Triune God (New York and Oxford: Oxford University Press), 1997. The most discerning discussion of God’s freedom and love is provided by Karl Barth, Church Dogmatics, II/I, pp. 257-321. While my discussion has been influenced by Barth, I suspect that some of my points would not sit well with him. Jüngel helpfully reinforced some convictions I had about God’s self-determination. See God as the Mystery of the World, p. 35-38. This is not the occasion for discussing the problems with the traditional interpretations of God’s simplicity. If it meant no more than that God is not composed of quantitative parts, then it would not be objectionable. But the concept of simplicity is also used to deny real distinctions within God, and especially the denial of the distinction between potentiality and actuality in God. thus requiring that God is pure actuality. But precisely here there is the negation of that movement—albeit self-movement—in God that seems essential for trinitarian thinking. Further, simplicity seems to deny that otherness in God that incarnational thinking seems to demand. On another occasion I will make a case for revising the tradition on God’s simplicity such that for God there is a special kind of simplicity that does not negate a special kind of complexity and otherness in God. It is generally acknowledged by process theologians that this world is not a metaphysical necessity for God, but that some world is. This is because it is a metaphysical necessity for God to be in relation to some other actuality. Without this relation, it is impossible for God to exist. Hence, process theologians generally speak of the co-eternality or co-everlastingness of both God and the world. I am arguing that this system of metaphysical principles is not adequate to understand the freedom and love of God in their triune manifestations. See Alfred North Whitehead, Process and Reality (New York: The Humanities Press, 1957), esp. pp. 519-533. The Cappadocians at least recognized that the essence [ousia] of God is not another acting subject beyond the three persons. Barth’s language about essence and actuality and being is notoriously unstable, but I do believe he saw that the Godhead as the essence of God does not do anything; only God the triune subject acts. See Karl Barth, CD, IV/2, p. 65. In utterly nontrinitarian ways, Hartshorne is quite clear about the distinctions between God’s essence, existence, and actuality. For our purposes here I am not concerned about his distinction between existence and actuality. While these distinctions are evident in much of Hartshorne’s writings, they do not receive systematic clarification until he strives to state the ontological argument with logical rigor. See The Logic of Perfection and Other Essays in Neoclassical Metaphysics, (LaSalle: Open Court Publishing Co., 1962), pp. 61ff. and Anselm’s Discovery (LaSalle: Open Court Publishing Co., 1965), p. x. That historically humans have often misconstrued the essence of something does not of itself cancel the usefulncss of language about essence. The reasoning here is a form of that reasoning called by some ‘transcendental reasoning’. As such, it means that we start from a given actuality and ask the question how this actuality is possible: what must be actual if this actuality is the case? Hence, what must be the case about God if the economic actualities are real and possible? 0f course, justifying just these attributes and interpreting them are matters not pursued in this essay. They are noted here to give some content to the concept of essential attribute. When the Cappadocians argue this way, they seem to me headed towards the heresy of tri-theism. While the definition of tri-theism is controversial. it seems that a divine essence that has three instances is about as clear as one might want concerning what it means to say there are three gods. On another occasion I will develop the argument that God is best thought of as a single triune subject who lives in three modes of being-in-act. See Jürgen Moltmann, The Spirit of Life, trans. Margaret Kohl (Minneapolis: Fortress Press, 1992), p, 292. Contra LaCugna, we do have reason for saying something about God apart from God’s relation to the world, precisely for the sake of speaking aptly about God’s gracious relationships with the world. Her demur about saying anything about God before the creation inadvertently renders her unable to speak acutely of the freedom and love of God in God’s triune interactions with the creation. See God with Us: The Trinity and the Christian Life, pp. 175-176, footnote 93. Whenever someone posits a hidden God who might be different than God has shown Godself to be, we can always inquire concerning what semantic rule is being thereby invoked. Do we have some more fundamental rule that can relativize God’s self-revelations? If we do, then that is the real foundation [or anti-foundation] for Christian theology. But trinitarian theology must aver never to fall back on some more primitive semantic rule or identifying reference, such as the rule that God is ineffably infinite, for understanding who God is. If God is ineffably infinite, then it is false that God has given us authentic self-revelations of God’s reality.